Freudenberg Medical is a global partner for the design, development and manufacture of innovative medical device technologies. With 11 manufacturing operations, Freudenberg Medical offers a wide range of capabilities from high precision silicone and thermoplastic molding and extrusion to coating technology, finished devices, and solutions for minimally invasive and catheter-based devices. 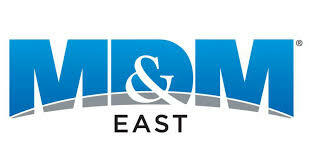 Freudenberg Medical operates FDA-registered medical device facilities, certified ISO 13485 with Class 7 & 8 cleanrooms. Manufacturing operations are located in California, Indiana, Massachusetts, Minnesota, Costa Rica, Germany, Ireland, and China. Freudenberg Medical offers unparalleled expertise in the design, development, and manufacture of minimally invasive surgical and catheter-based devices. Our team uses a multi-phase design process to deliver the best products possible; this proven approach helps structure the flow of product development and ensures maximum collaboration at every step. We co-develop breakthrough medical device designs using the latest design tools and techniques to create products that are robust, safe, effective, and within budget. We develop manufacturing processes that ensure effectiveness all the way through to product launch. We also validate processes across the spectrum of product development – from bottom-up creation to parallel line transfer. Molding capabilities include low- to high-volume injection molding, liquid injection molding (LIM), transfer/compression molding, micro-molding, insert molding, over-molding, and two-shot molding. Additional specialties include patented cold runner technology for silicone molding, advanced hot runner systems for both valve gate and open tip thermoplastics to reduce overall scrap, scientific injection molding, plus expertise in short- and long-term implantable LSR and HCR silicones. Freudenberg Medical offers a wide range of value-added services from sterilization, assembly, and packaging to annealing, thermoforming, and pad printing. Extrusion capabilities encompass a wide variety of tubing types, including single- and multi-lumen tubing, braided reinforced tubing, cord, color stripe, close tolerance, profiles and tapes, as well as co-extrusion, pigmenting, and radiopacity. Our close tolerance extrusions, in both silicone and TPE’s, provide the precision and quality required for the most demanding applications. Value added services include cut-to-length, skiving, pad printing, bonding/gluing, punching, parylene coating, proprietary striping, and a wide selection of long-term implant grade, medical grade, and pharmaceutical grade silicones. The Freudenberg Medical joint venture company VistaMed provides innovative catheter solutions—from concept design to product development and high-volume manufacturing—covering a full range of technologies. Custom catheter capabilities include extrusion, insert molding, braiding, tip forming, bonding, precision hole drilling, laser cutting, balloon forming, printing, packaging, labeling, and sterilization. Cambus Medical, also a Freudenberg Medical joint venture partner, designs, develops, and manufactures critical components for minimally invasive medical devices used in diagnostic and therapeutic interventions. The company’s principal focus is the development and manufacture of stainless steel hypotubes used in angioplasty balloon catheters and stent delivery systems where the highest levels of performance are required. Cambus Medical also develops and manufactures specialty needle devices used in vascular and endovascular access and drug delivery procedures. An ISO 13485 registered medical technology company; explore Cambus Medical's capabilities. Freudenberg Medical also manufactures the HelixMark® brand of platinum-cured silicone tubing and fluid handling components for pharmaceutical, biotech and IVD. HelixMark products are available off-the-shelf in an extensive array of product types and sizes. Tubing products include PharmaFocus, peristaltic pump tubing, braided reinforced, standard, color stripe, close tolerance tubing, stoppers and gaskets, custom assemblies, and custom packaging. We offer a wide choice of silicones and material certification and lot traceability is included with every product. 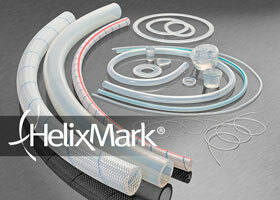 View the HelixMark® Silicone Products Catalog. We work closely with the companies we serve to implement customized validation and quality assurance systems. Our objectives are to ensure compliance with all FDA, ISO, and MDD requirements, and to fulfill each of our customer's specific requirements. We draw on extensive material, process, and tooling expertise combined with integrated project management to deliver validated processes. Using lean manufacturing tools such as Kaizen, Value Stream Mapping, 3Ps, and scientific injection molding capability, we drive out waste, optimize value adding activity, and shrink lead times.